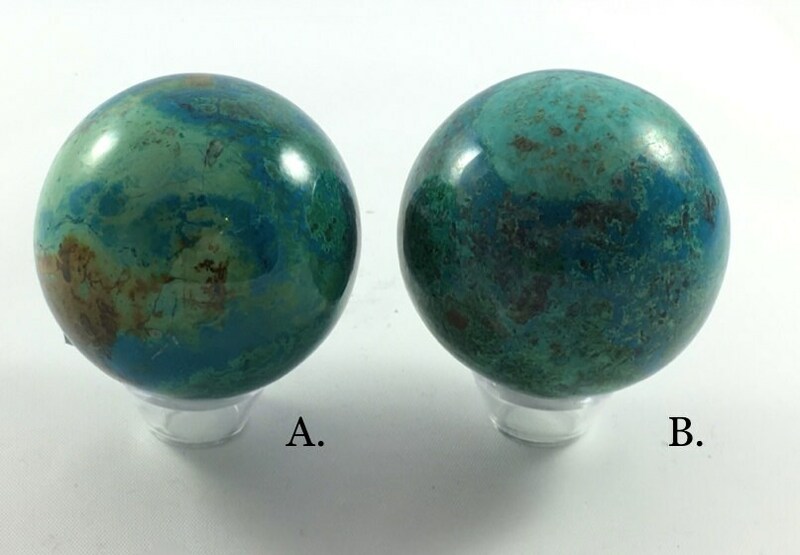 ✻ C R Y S T A L S P H E R E ✻ Malachite (green) with Chrysocolla (blues) Sphere. Combination of the two stones, they often grow together. 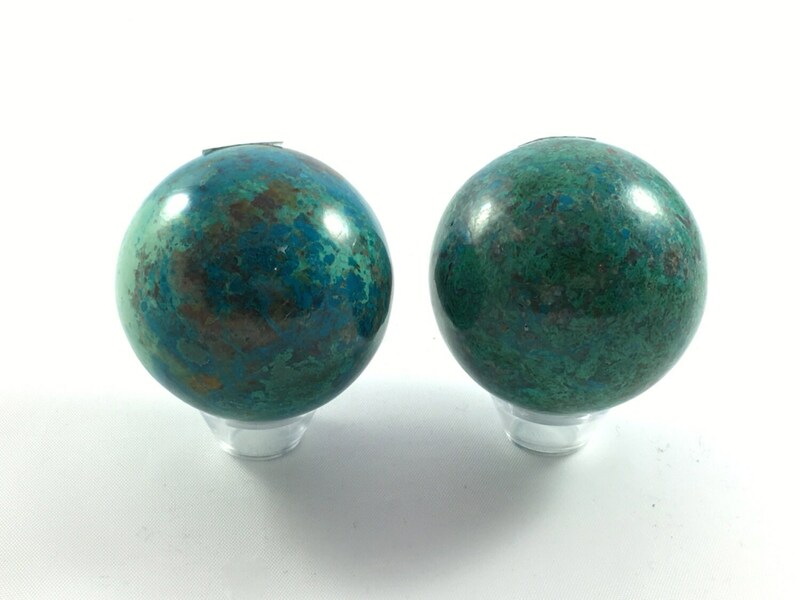 Chrysocolla helps one with meditation and communication. "Teaching Stone," it that it encourages one to speak ones highest knowledge to benefit others. Helps in overcoming phobias, it draws out negativity and supplies motivation for those who lack it. Malachite is an important stone for protection from negative energies. Transformation stone. Enhances intuition and insight. Breaks unwanted ties and outworn patterns Helps reduce menstrual cramps. Treats diabetes when worn around waist. Helps release toxins found in the liver. Malachite: 1st (Root), 4th (Heart), 5th (Throat). Chrysocolla: 3rd (Solar Plexus), 4th (Heart). O r i g i n: The Congo.